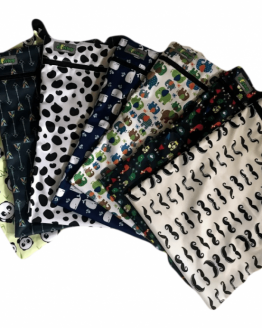 Perfect alternative to disposable baby wipes, these reusable wipes are made from cotton terry fabric. Better for the environment and better for baby. 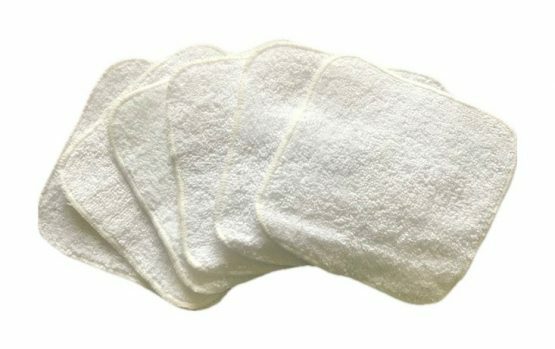 You will also save money using these washable wipes, as you will only need around 20, used in rotation for the whole time that your baby is in nappies. 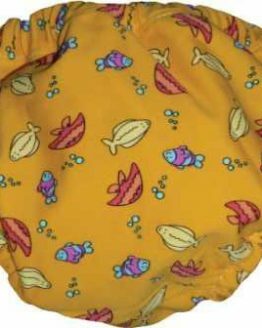 Simple pop into your nappy bucket after each change time and wash with your cloth nappies. One of the great things about using these wipes, is that you can just use water to clean your babies bottom, rather than the sometimes quite strong chemicals that can be found in other types of baby wipes. If you prefer then a few drops of tea tree oil, your favourite natural baby wash, or even chamomile tea (great for soothing nappy rash) can be added to the water. 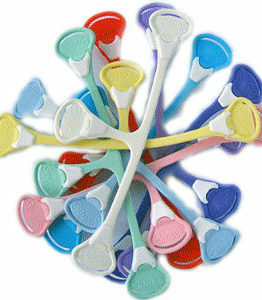 They can also be used to clean sticky fingers and faces, or as small facecloths in the bath. Cotton washable wipes make the perfect companion to cloth nappies, as you can wash both together. Simply wet the wipe each time you use them, or keep the wipes in a plastic container or box with a little water in, adding a few drops of tea tree or lavender oil if you prefer. When out and about you can either take pre-wet wipes with you in a wet bag, or wet while out, carrying a bottle of water for the job, if you don’t think you will have access to water. Once used, pop into the washing machine with your cloth nappies. These are just the right size for clean ups at change time and wiping messy hands and faces. 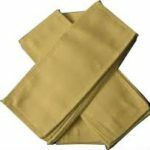 Smaller than normal face cloths or flannels, but fantastic for using as washable wipes.